Peppermint swirls - Homeware Haul!! As you have probably gathered, I have recently move house. Therefore that is the perfect excuse to get out, and spend a ton on new things to make the new house look all pretty. I will be doing an updated room tour once I am happy where everything is, so keep your eye’s peeled for that. But for now I have some bits and bobs that I have picked up over the last few weeks. 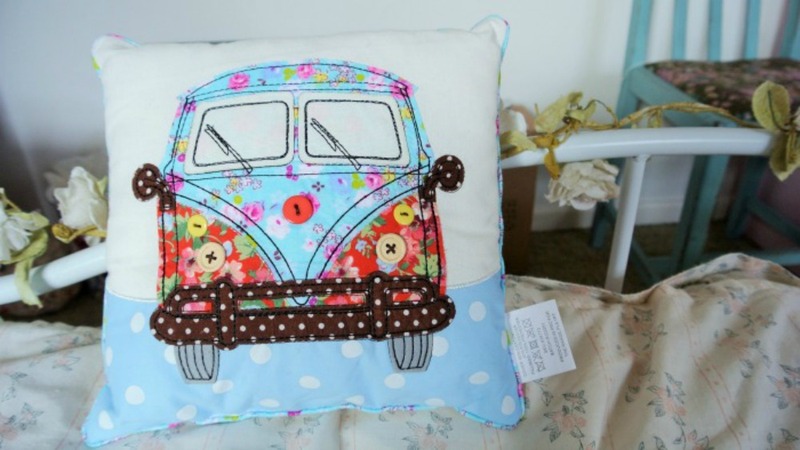 The first thing I picked up was this camper van cushion from the Range. 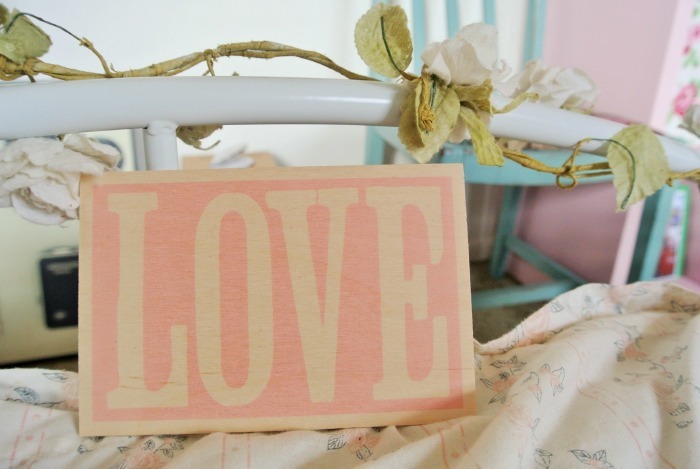 I thought this would look really cute on my bed along with my other cushions and cuddly toys. 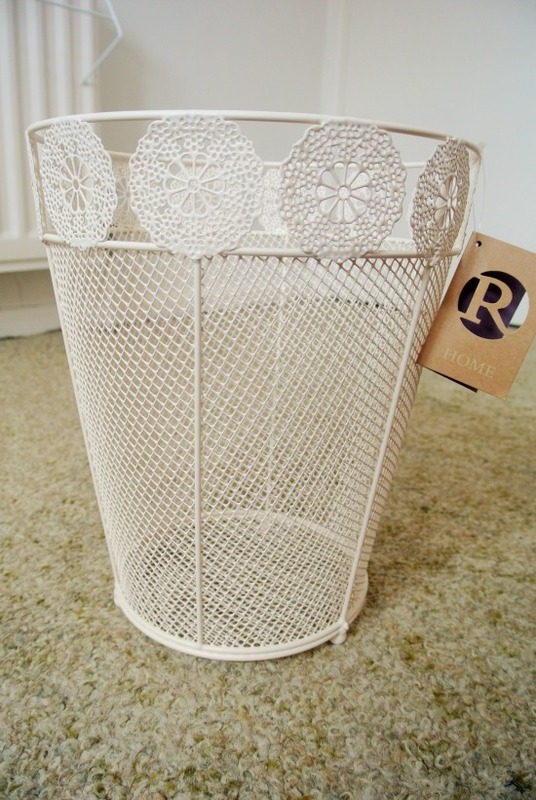 I also picked up this white, lace style waste bin from the Range. I thought that this was really cute, simple and that it would fit better within my bedroom than the one that I currently have. 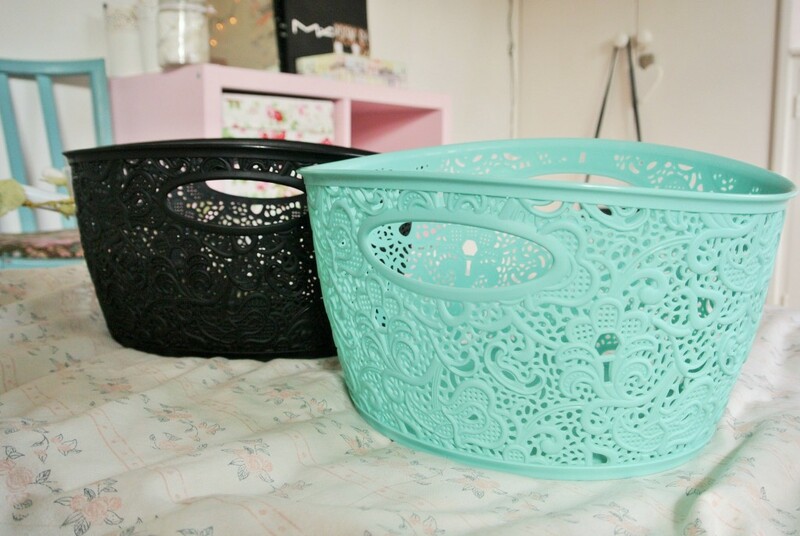 I then picked up a couple of lace baskets, also from the Range, I already own a couple of these, however they were so lovely and useful that I picked more up in a few different colours. 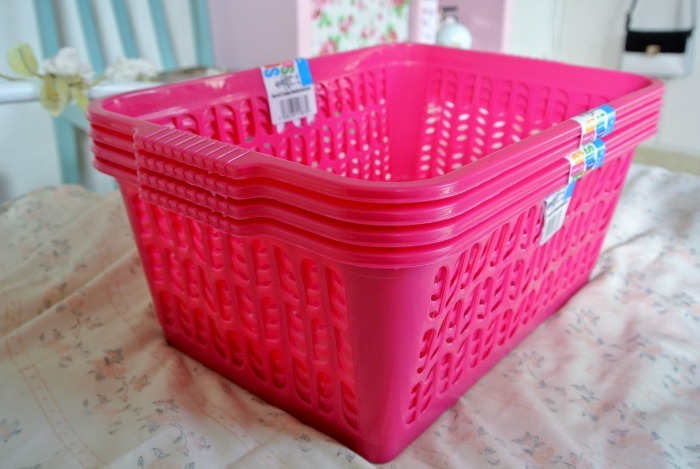 I now own one cream, one pink, one black and one turquoise basket. Again, from the Range, I picked up some more baskets, because they are very handy to keep bits and bobs in, they come in packs of 2 but I picked up 6. After visiting the Range, I took a trip to a shop called ‘Cherryade’ where I live. It sell’s lovely little nicknack’s and homeware things. The shop was filled with all things, rose gold and pretty, therefore I fell in love instantly. 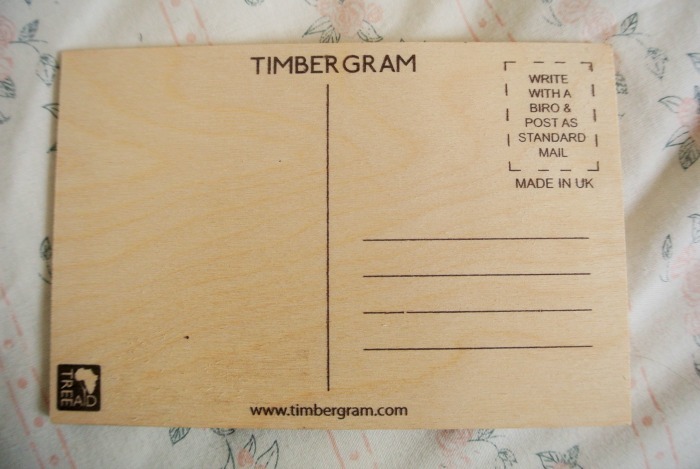 They had a whole shelf filled with these adorable, little, ‘Timber Grams’. These are little wooden post cards, they had all sorts of messages on the front, including things such as happy birthday. I thought this was a wonderful twist on the original birthday card, and will definitely be returning there next time it is someone’s birthday. I decided to pick up one to put up on display in my bedroom. The next item is from Argos, and is another practical purchase. 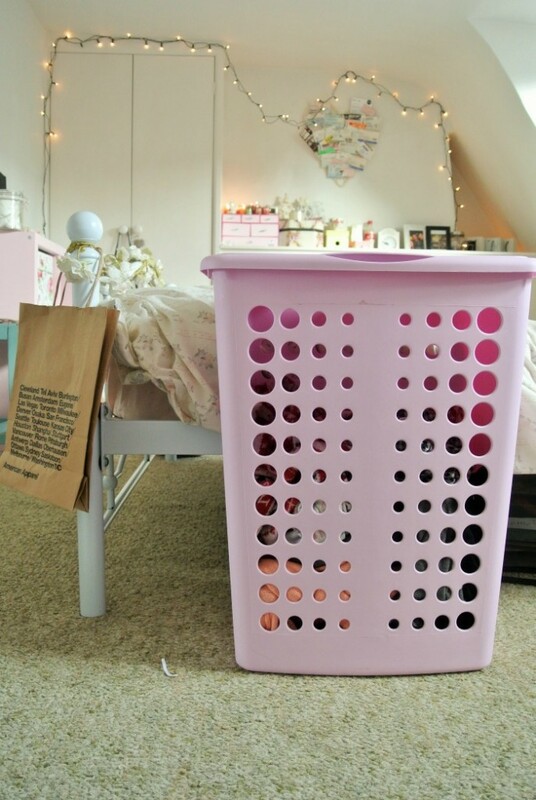 It is a bubblegum pink laundry basket. I had one at the old house, but it was completely broken so the move became an excuse to pick up a new one. They have this one in many different colours, as it’s from the colour match range, but I went for the pink as I believed this would match my room the most. Finally, the last thing I brought, was again from Argos. 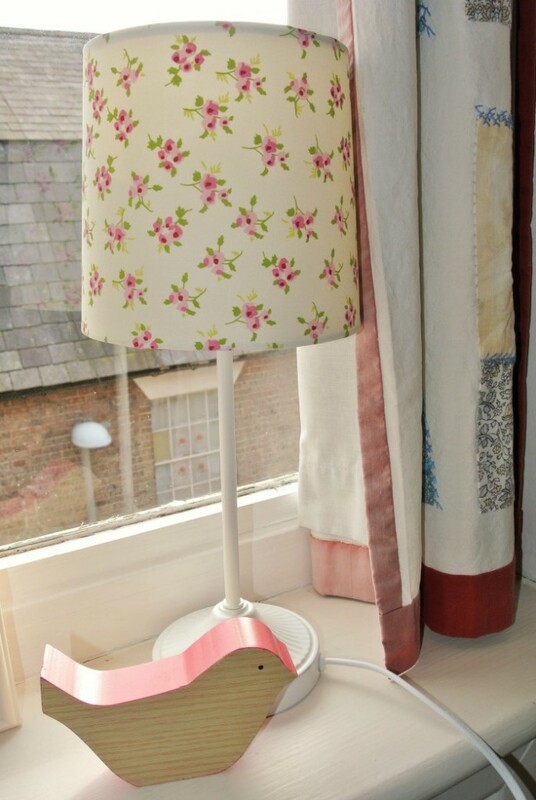 They have this lamp in two different colours, blue and cream. Again I went for the cream one because I believe that it fits in with my bedroom better. One problem I had with this purchase, was that the first one I brought was a blue lamp in the cream box, however after taking it back I managed to get an exchange. This is everything that I have picked up for the new house so far. Thank you for reading. 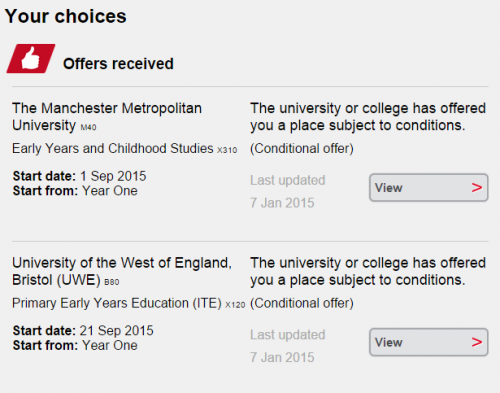 Nice things! Glad you managed to change the lamp.